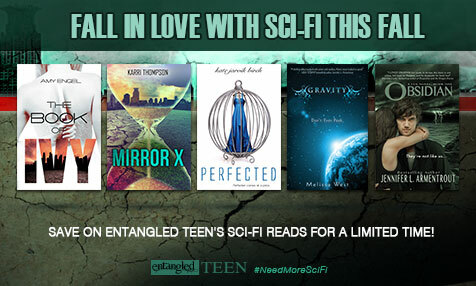 As part of the ongoing Entangled TEEN Sci-Fi Sale, we wanted to remind you that Mirror X is only 99¢ until Sunday, October 4th, and to make that possible, we’re so excited that Karri Thompson, the author of The Van Winkle Project series agreed to stop by to share a blog post with Entangled TEEN’s readers about the traits that make Cassie a great heroine. One of my favorite heroines is Ellen Ripley from the Alien movie franchise. In my opinion, a heroine is a woman who is admired and respected for her courage, achievements, and morals, and Ripley’s character definitely upholds all of these traits. Ripley doesn’t take any crap, whether it’s working with an almost all-male crew on a ship while traveling through space or dealing with an alien creature with two sets of teeth and acid for blood. 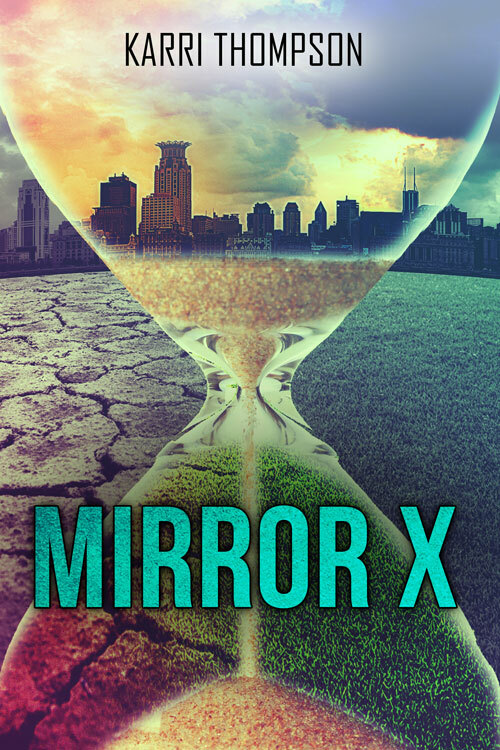 In Mirror X, Cassie awakes one thousand years into the future and in a world where she holds the fate of humanity in her hands. Unlike Ripley, who is an adult and accustomed to the society in which she lives, Cassie, at seventeen, is welcomed into a government-controlled world and immediately thrown into an abyss of uncertainty when it comes to how she will handle this unwanted responsibility of saving the human race. Independence: Having been homeschooled, so she could travel around the world with her paleontologist mother, Cassie is a bit naïve, but at the same time, she has an independence that is crucial for her survival and happiness in the future. Brave & Daring: Cassie is brave and daring. Being unfamiliar with the system of authority in which she now lives, she has more respect for herself than she does for the rules or the three presidents who preside over the regions, and once Cassie understands her role in society, she uses all of these assets to change the destiny designed for her. Moral Fiber: Throughout the course of the novel, Cassie continues to gain more confidence. She’s determined to “save the world,” but she sticks to her personal morals, and proclaims that it needs to be done but under her terms. By the end of the book, she’s not afraid to make that happen. Of course, there is a romantic component to the story, and Michael, the hero and Cassie’s love interest, also develops throughout the novel. Like Cassie, he is gullible at first since he was born in a society where the government tracks one’s every move, but through Cassie, he learns that individual freedom should be a way of life instead of it being controlled by a central computer. In the second and third books in the series, Cassie and Michael’s heroic traits continue to develop along with their affection toward each other. Cassie is the kind of person I hope I would be if I was thrown into her situation, and Michael (who, by the way is incredibly hot), would be the kind of guy I’d want helping me. Michael stood and took a seat on the edge of my bed, his weight upon the mattress, rocking me toward him. When the side of my thigh met his knee, my heart rate doubled, and I drew in a deep breath. I ignored the pain and tilted closer until the space between our faces was less than a foot. My heart, my mind, my soul—everything yearned for his affection at that moment. “I feel the same way, too,” I said as Michael’s sincerity drew me to him and all my anger toward him fled. I closed my eyes, wanting this handsome, earnest guy to take me into his arms and tell me he’d make them let me go. My lungs expanded with his warm breath and spicy scent. When his lips met mine, every atom in my body danced, urging me to pull him closer and tighten my grip upon his back. His kissing became more fiery and I reacted by kissing him harder. It wasn’t until his mouth moved to my neck, that I came to my senses, bit my bottom lip, and drew away. “Not yet,” I said, scooting away. Cassie Dannacher wakes up in a hospital over 1,000 years into the future after her space capsule is retrieved from space. She soon learns that 600 years prior to her arrival, the earth was struck by a plague, killing over half of the world’s population. Naïve and desperate, Cassie, who longs for home and is having trouble adjusting to the new, dictatorial 31st century government, is comforted by Michael Bennett, the 20-year old lead geneticist at the hospital where she was revived. But why is Cassie in genetics’ hospital in the first place, and why do several of the people around her seem so familiar, including Travel Carson, the hot and edgy boy she is fated to meet? Soon she discovers there is a sinister answer to all of her questions – and that they want something from Cassie that only she can give.